5 Steps in Choosing The Right Dry Cleaning Company? Getting the right dry cleaning company can be difficult especially if you don’t know the steps to follow in choosing the right dry cleaning company. Most people always get disappointed later when they find out that the have selected the wrong dry cleaningservices. Here are 5 tips on how to select the right dry cleaning company. You should select a dry cleaning company that is efficient in providing good services to its customers. Good customer entails how they attend to their customers, how fast they provide service to their customers and how fast they respond to customer complains among many others. A dry cleaning service that provides quality services to its customers always makes the client to feel special and accepted. If a dry cleaning company has very powerful dry cleaning machines but does not have good customer service, then that is company that you should completely avoid. When selecting a dry cleaning dry company, choose a company that provides quality services to their customer at a fast rate. For instance, choose a company that is able to provide quality services to you within one hour as apposed to a company which takes one week to provide the same service. A company that keeps customer waiting for long period before services are delivered is not efficient and thus should be avoided at all cost. Customer’s services should always be given the first priority. 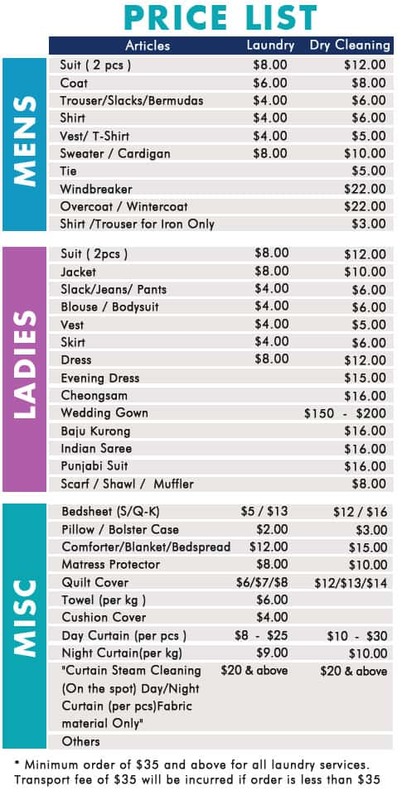 When choosing a dry cleaning company, you should always keep in mind how much they charge for their services. Select a company that offers quality services to their customers at a reasonable cost that is affordable. There are some dry cleaning companies which offer low quality services at a cheap price and there are some companies which offer high quality services at an affordable price. You as the client should be able to differentiate between the two. Go for the company that offers quality services at an affordable price. Also avoid those companies that keep on changing charging cost. A dry cleaning services that has qualified personnel is very important as they determine the quality of services that they offer to their client. Select a company that has a team of professionals who have adequate knowledge in dry cleaning. It is very easy to know whether a company has a team of qualified personnel or not. For instance, if you ask questions and all your questions are answered professionally, you can easy conclude that the company indeed has qualified people. A good dry cleaning company should be able to provide security to their client products. They should have measures that ensure that customer’s products are well protected. The client is supposed to have confidence with the cleaning company. The company should have proper storage facilities to store the products of their customers. Security can also be viewed in terms of reliability. Reliability means that the company is in operation for a long period of time. You as the client should be able to have confidence that even if you leave your product to the company for one year, you products will be kept safe and the company will still be in operation.